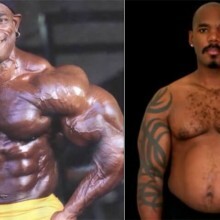 Josh before & after. 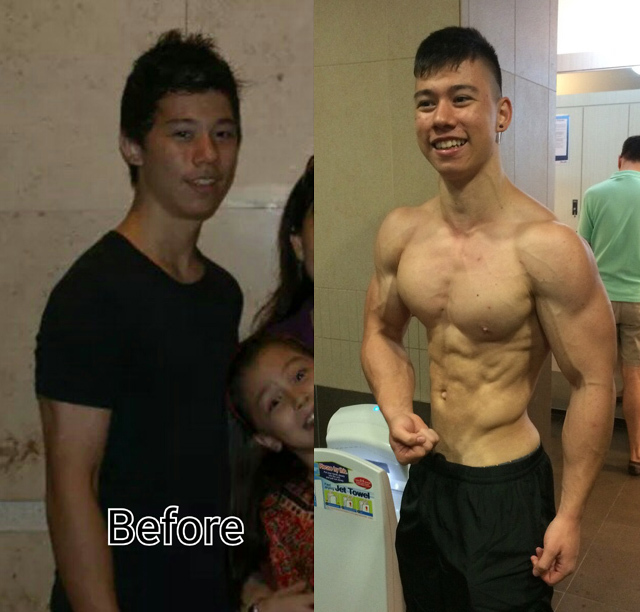 Right picture is from September 2014 prior to competing. 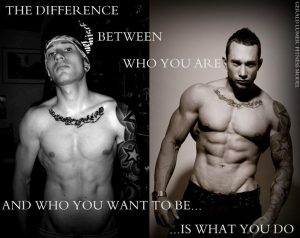 Name: Joshua Groenewald, better known as Shreddedsaint on the Instagram fitness community. 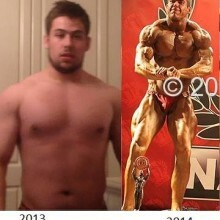 Start age: I started lifting weights at home at age 15 but I only step foot in the gym in 2011 at the age of 16. During this time I was experimenting with what works well with my body and I only figured this out in November of 2013. Basically majority of my size came from this period onwards. Why did you decided to transform? At first it was for the girls but slowly it became an obsession and now I just want to grow as big as I can as natural as possible. The thing that keeps me motivated is the constant desire to achieve the best version of myself. Pushing myself hard when I train and rest hard on my rest days. I workout every alternative day full body routine. Spending no more that 2 hours in the gym during training days. Workouts are done on every alternative day. In between my workout days I have a full day of rest. I absolutely love cable cross overs and bent over rows ! Meal 5 – two Fish fillets with a cup of broccoli and two small potatoes. This is not what I eat every single day but it’s my usual diet routine. I also have a cheat day on Sunday. 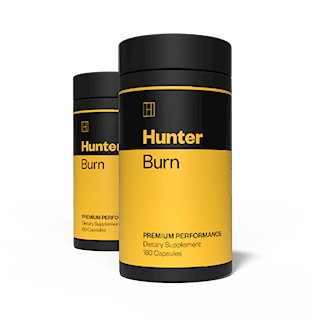 What supplements are your taking? I am taking only two supplements whey protein and creatine. 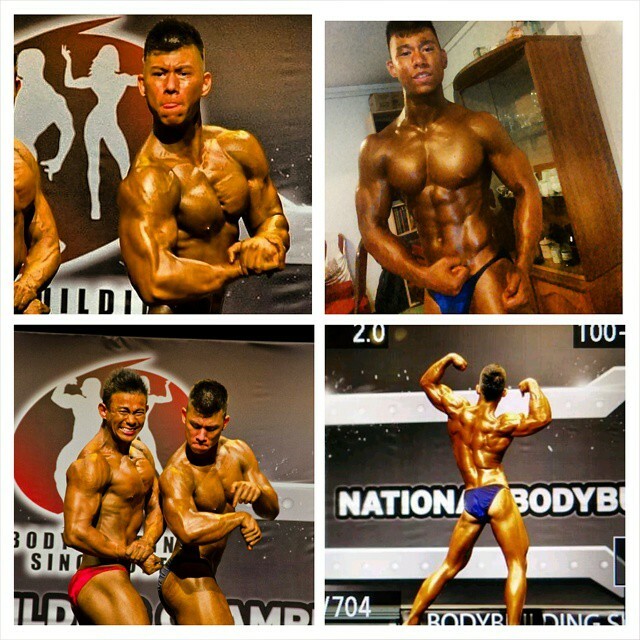 Josh on stage at Singapore National Bodybuilding Competition 2014. 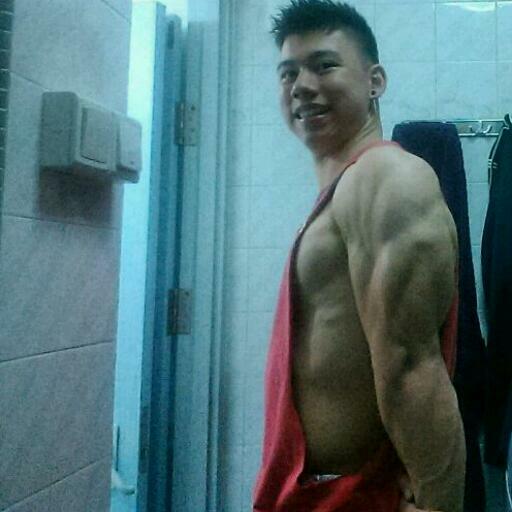 I am aiming towards a Frank Zane or Steve Cook kind of physique. Keep pushing forward brahs, even when you feel like quitting. Trust me the end goal is so much worth your time and effort.